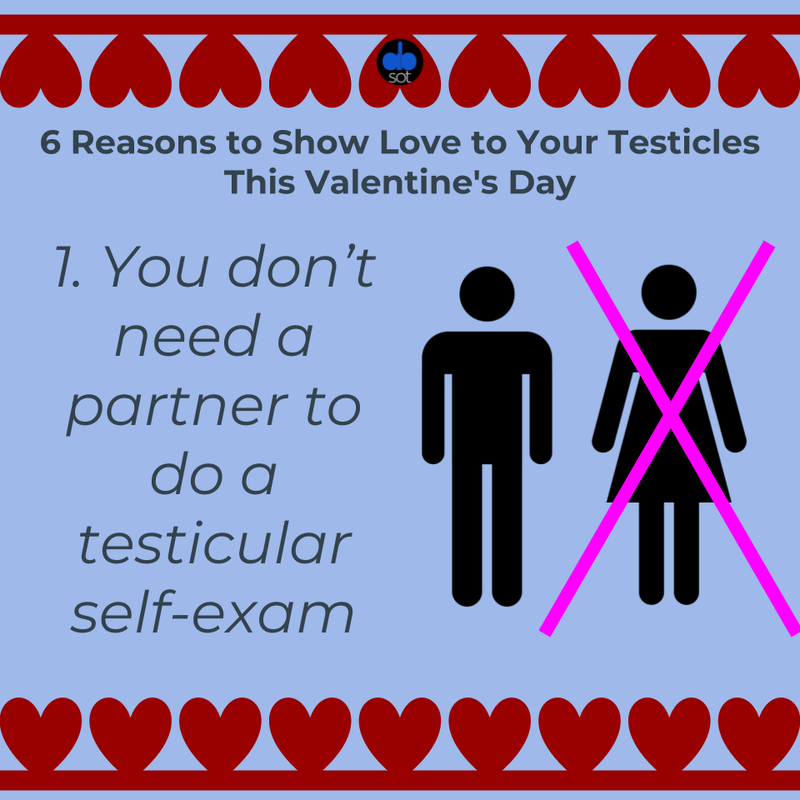 This Valentine’s Day, Skip The Date and Invest Your Time In a Testicular Self-Exam. Valentine’s Day (or Singles Awareness Day, if you prefer) is supposedly a day all about showing love to your significant other. However, I challenge you to give some self-love to your “significant other(s)” below the belt. I promise you it’s a far superior way to spend your day. Just place your index and middle fingers under the testicle with your thumb on top. Firmly but gently, roll the testicle between your fingers. 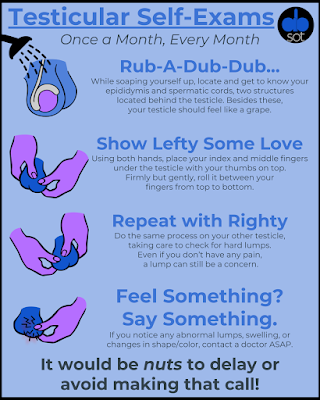 Any weird lumps or bumps should be checked out by a doctor ASAP. When you get out of the shower, be sure to look for signs of changes in shape, color, or swelling. There you have it – no awkwardly asking if someone is free or beating around the bush (if you’re doing that, you’re not doing a self-exam correctly!). Just seize the moment (and your testicles) and get down with your bad self. More times than I would like to admit, I’ve been guilty of waiting until February 13th at 7:00 pm to try to make reservations for Valentine’s Day. Suffice it to say, this doesn’t generally bode well for places that have been booked for months in advance. However, I still maintain that there’s no better way to express love than a bucket of Sonic corn dogs. With a testicular self-exam, no reservations at a swanky restaurant are required! You simply need to visit a shower to get in on the action. A shower is the perfect locale for a self-exam. Since your clothes are already off and the hot water helps relax your scrotum, it’s an easy and convenient place to do your exam. Unless you share a house with too many people, it shouldn’t be hard to get on the exclusive guest list at the Lounge de Shower. Even for guys, getting all spiffed up for a date can take a while. With the showering, shaving, applying inordinate amounts of cologne, hair styling products, clothes, and brushing your teeth, it could take up to an hour til you’re all ready to go. Here’s my proposal – start with the shower and do your self-exam. In less than two minutes (or one in my case), you’ll be all done. Skip the rest of those unnecessary steps (though maybe put some clothes on) and stay in for some endless YouTube streaming. 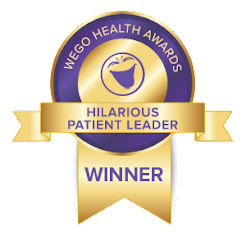 Make it a special event and check out the CHECK 15 videos for a healthy dose of humor and awareness. I am fundamentally against buying flowers. Not only are they are ridiculously expensive (most good bouquets START at $20), they also eventually end up looking droopy and sad. Plus, they die after like two weeks, which is kind of a buzz kill. The price of a self-exam? Free. 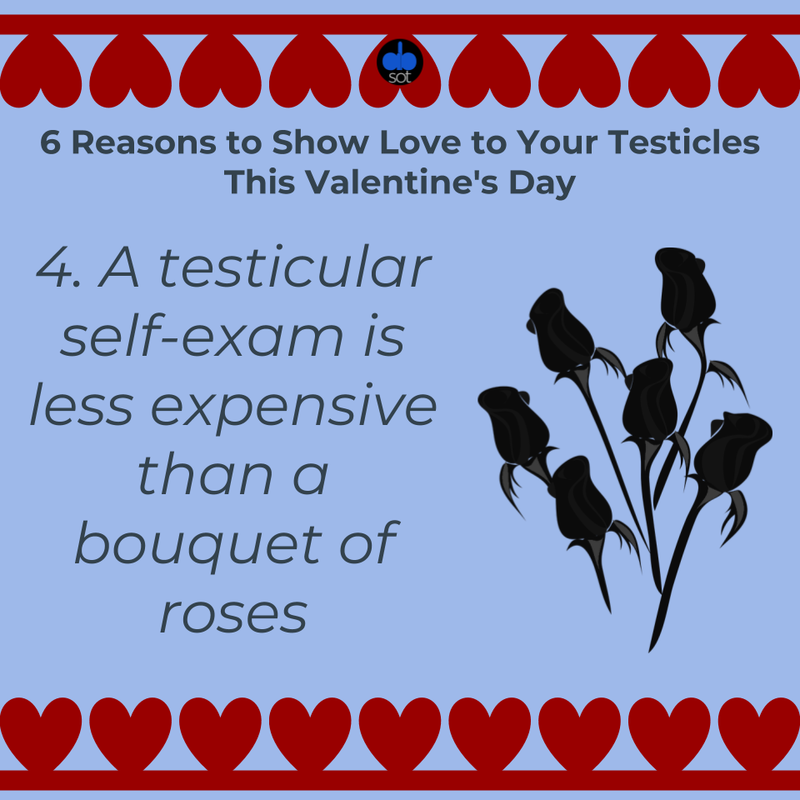 To be fair, roses and and self-exams do have something in common – they both deal with things that eventually end up droopy-looking. Even if your date went well, it’s a gamble if there will be a redux. Will they accept a rose for a second date? This may be especially difficult if you followed the previous advice and refused to buy any roses. However, a self-exam should occur once a month, every month. Doing it regularly helps you notice any changes and helps you determine your normal set. If you need helpful reminders, check out #Takea2nd4theBoys and the Testicular Cancer Society’s text reminders. There’s no “wait three days” rule on that message! So let’s say your date goes really well and you’ve… sealed the deal. Nine months later, you may be skipping holding hands at your romantic date nights in favor of rocking a baby at daddy and me play dates. 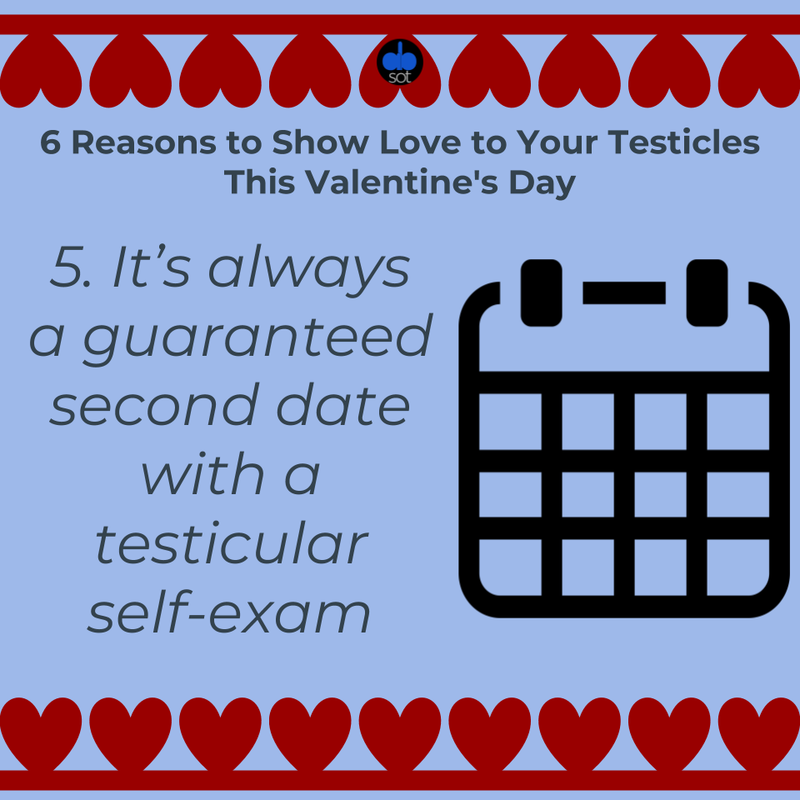 But if you skip the Valentine’s Date and stay in to do a self-exam, nine months later, the only thing you’ll have cradled is your own pride and joys. There’s an even bigger risk in not doing your exams, too. 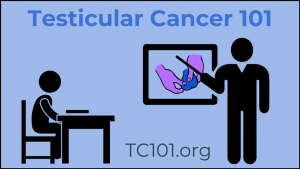 According to the American Cancer Society, testicular cancer presents as a lump in the testicle 90% of the time. About 9,560 new cases will be diagnosed in the US in 2019, which is up from 9,310 in 2018. 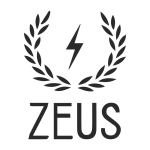 Roughly 1 of 250 males will develop testicular cancer at some point during their life, with 50% of testicular cancer cases occurring in males aged 15-44. We need to talk about men’s health with our male friends more often. 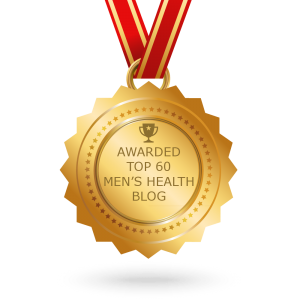 The Cleveland Clinic found that 56% of men prefer to keep health concerns to themselves and not share them with anyone, which can have deadly consequences. Brilliant post on self checks!